Provide comfort for the family of Faye Glover with a meaningful gesture of sympathy. Our family’s heart beat started on August 30th, 1920 when Faye Lorene Glover was born to Effie (Glenn) Davis and Cook Davis in Dadeville, MO. It grew consistently stronger during her childhood while raised on a farm with her younger brother, Leo Davis. The pace picked up when she met Washington Dale Glover, who she married on Dec 19th, 1942. Her heart stayed strong as Dale was gone overseas for 3 and ½ years during WWII and the occupation afterward. After his return in 1946, her heart ached a bit as no children were forthcoming for 5 years. A loving heart, however, cannot be restrained and she opened it up to nephew and nieces who she loved like her own. God must have taken notice as two sons then followed, Albert Dale, born in 1951 and David Washington in 1954. Though at times they tried her patience, they never dampened her heart. She loved them through joys and trials. Instead of a stereotype mother in law, she became a beloved role model and second mother for Janice (Sells) Glover, who married David, and Angela Glover who is married to Albert. Her heartbeat grew stronger with the blessing of 8 grandchildren, Kristen Faye (Glover) Sooter, Sonny Glover, Justin Glover, Cook Glover, Drew Washington Glover, Spencer Glover, Angela (Glover) Hall and John Glover. The blessings multiplied with 13 great grandchildren (3 of which are named after Faye), added to a family she thought she would never have. Despite the growing number of family members, she proved that love never divides, it multiplies. The heartbeat was also heard and felt throughout her church and her community as love knows no bounds. The rhythm of Faye’s life was filled with beauty and service. Her outward beauty was obvious to all. Her artistic flair was seen not only in her paintings, but in her sewing, knitting, crocheting and quilting. She was renowned for the amazing food and constant smile that greeted all who entered her always open doors. Few but family knew she could do an effortless Chinese splits at age 75. Down on the floor is where you would frequently find her enjoying her grandchildren, their children, or any other child nearby. Her energy and stamina defied her age. Faye’s heartbeat slowed as her beloved husband, Dale passed on Dec 3rd, 2004. Though her heart felt sorrow, it also knew joy and gratitude in knowing he was with God and she would someday join him. That day was Feb 9th, 2019 when Faye entered eternal life as her earthly heartbeat stopped. One can, however, feel and hear the continual echoes throughout this family and out into this world where those who were touched by her love strive to bring heaven, where Faye now resides, a little closer to us all. There will be a visitation one hour before services from 10:00 to 11:00 AM. Funeral services will be held at 11:00 AM Wednesday, February 13, 2019, at Pitts Chapel with Rev. Billy Russell officiating. Burial will follow at Greenwood Cemetery Bolivar, MO. Online condolences may be made at: www.greenlawnfuneralhome.com. Arrangements have been entrusted to Pitts Chapel Bolivar, MO. To plant a memorial tree in honor of Faye Lorene Glover (Davis), please visit our Heartfelt Sympathies Store. 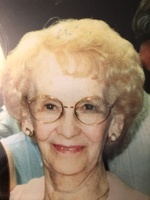 Nana Faye was loved by all who knew her and will be missed so much by so many. Please accept our most heartfelt sympathies for your loss. Please accept my sincere heartfelt condolences for Faye. She was such a wonderful, loving, giving lady. I remember being at her house many many times in Bolivar and even in Georgia. I remember her being at our house many times and I still have the locket she & Dale gave me for graduation. I'm sure she and mom are catching up on all the latest cooking and sewing things. Our families were one and the same. My dad sure enjoyed building her dining room set. I'm sure it still is beautiful. Mom loved visiting with Faye and Dad loved visiting and fishing with Leo. David, I was sorry to hear of the passing of your Mother. She was always so kind to me as a boy growing up in Bolivar. When I would see her as a young adult she would always take the time to ask about my family and always was an encourager. Please know that you and your family are in my thoughts and prayers.